with mixed and level doubles teams in the York and Castleford leagues. The club's home is Tadcaster Leisure Centre where the club was formed in 1986... hence the club name. Tadcaster Leisure Centre is located off Station Road, Tadcaster LS24 9JE. Click here to see map. We have a club night every Thursday evening from 8pm - 10pm. Depending on attendance, there are always at least 2 courts available for play on a club night, but 3 courts are generally available at busier times of the year. 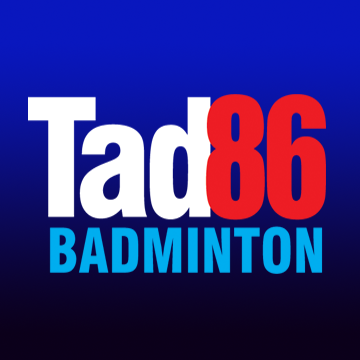 Club Nights run throughout the year; providing the opportunity to play over 100 hours of badminton for an annual membership fee of just £120. We play with Yonex Mavis 600 'plastic' shuttles on club nights and for home matches. We are always keen to welcome new members to the club... There is no charge for the first three sessions attended so you have time to decide if our club is right for you. Please feel free to come down to a club night at any time and check out the facilities available. The club currently enters a Mixed team, a Mens team and a Ladies team in the York & District League, plus another Mixed team in the Castleford & District League. Home matches are played on Wednesday evenings from 8pm - 10pm and we use Yonex Mavis 600 'plastic' shuttles. Click here to see fixture list calendar for current season.